other mind press is very pleased to announce the publication of A Measure of Strength by Dorothy Regal. Please scroll down to see book events. Dorothy Regal is a resident of the Willows Retirement Apartments in Bellingham, Washington. Originally from New York City, she has traveled widely and lived in many places. At age 90+ she feels very much engaged and content with her life: having an active social life, taking classes, reading, and writing. 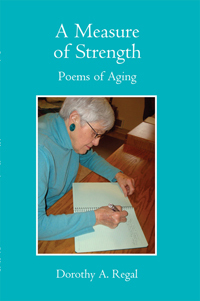 A Measure of Strength is available at Village Books, in Bellingham, Washington. You can watch and hear Dorothy Regal read a selection of poems from A Measure of Strength on the Other Mind Press channel of YouTube. 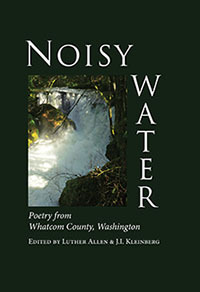 Dorothy Regal is the featured reader at the Whatcom Museum’s Brown Bag series, Thursday, November 1, 2012, 12:30pm, in the Rotunda Room, Old City Hall. Dorothy will read from and sign copies of her book. 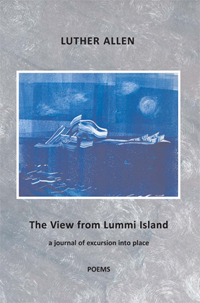 Dorothy Regal is the featured reader at a book release event on Saturday, August 11, 2012, at 4:00pm at Village Books, in Bellingham, Washington. Dorothy will read from and sign copies of her book. An interview with Dorothy Regal airs on Sunday, July 22, 2012, at 9:00am on KMRE 102.3 FM, Spark radio, and air live at the SPARK website. More on the program, Women’s Voices.